Legends of dragons, knights and castles are brilliant, right? Well – here’s your chance to be in one. 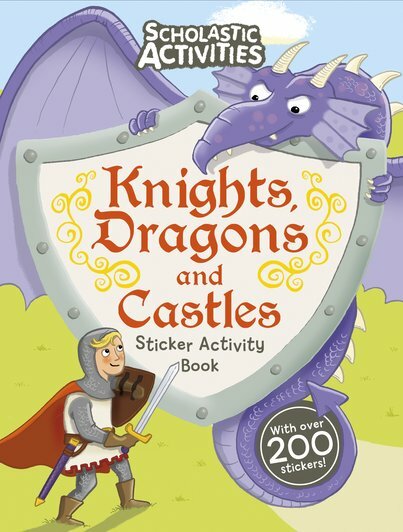 A totally mythical activity book complete with over 200 stickers. Hotter than dragon’s breath! Amazing rescues. Heroic battles. Fiendish villains. Mighty castles. Huge feasts. Baffling mazes. Tricky puzzles. Dramatic scenes to colour in. Want to join the adventure? Grab this book right now. Don’t forget your shield, lance and helmet!